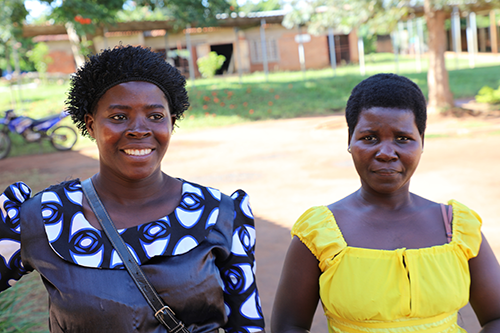 MULANJE DISTRICT, Malawi – Margret Rambiki was just a teenager, married at 14, when she nearly died in childbirth. It was 2002 in the Mulanje District of southern Malawi. A child bride, Ms. Rambiki may have been physically unready for pregnancy. Her labour was prolonged and obstructed, a potentially deadly complication. And her access to emergency care was dangerously delayed. She remembers her father arguing with the health care provider because of their long wait for assistance. Tragically, the baby was stillborn, and Ms. Rambiki was left with an obstetric fistula – a hole in the birth canal – that left her incontinent and vulnerable to a host of other medical concerns, including infections. Today is the International Day to End Obstetric Fistula. Fistula is one of the most serious and tragic childbirth injuries, and it is almost entirely preventable. Access to proper maternal health care, particularly Caesarean sections to treat obstructed labour, can save the lives and health of both women and their babies. Yet more than 2 million women in the developing world are estimated to be living with this condition. Its persistence is a sign that health and protection systems are failing women and girls. Ms. Rambiki lived with obstetric fistula for 13 years. In that time, she had a son and a daughter. But, like many fistula survivors, she was isolated, enduring ridicule if she left home. She was unable to do community work, attend funerals or visit church, she told UNFPA. But one day three years ago, her mother was chatting with neighbours at a nearby borehole. Someone mentioned that a woman in the district had received treatment for chronic urinary incontinence. It turned out a fistula repair camp was taking place at Mulanje district hospital. She rushed to tell her daughter. Over 25 women received treatment during the UNFPA-supported event, including Ms. Rambiki. Many of the women, like her, had endured the condition a long time. One lived with fistula for 66 years. It is estimated that 1 per cent of women in the country have experienced an obstetric fistula, according to a 2016 survey. 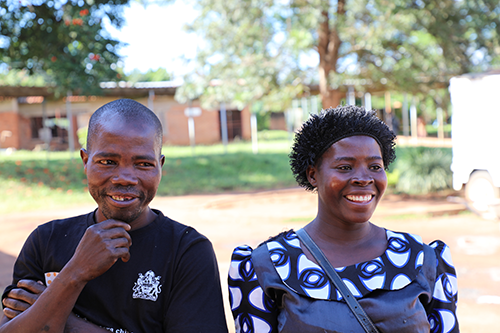 UNFPA has been working with the Government of Malawi, the Freedom from Fistula Foundation and AMREF Health Africa on fistula treatment efforts since 2011. Earlier this year, UNFPA organized another fistula repair camp at Mulanje hospital, treating 28 women, and referring others for specialized treatment. Women from the surrounding districts of Blantyre, Chiradzulu, Neno, Phalombe and Thyolo, and from across the border in Mozambique, came to access the services. “This treatment outreach approach has brought services significantly closer to the underprivileged women who suffer in silence while seeking treatment,” said Grace Hiwa, a fistula expert with UNFPA. The camp also mobilized more than 60 women to raise awareness about the condition. Ms. Rambiki was one of them. Since her treatment, she has become an advocate for fistula survivors, helping multiple women receive repairs. At this year’s event, she helped a 33-year-old friend receive treatment. She says she still thinks back to the fateful day that she learned there was hope – and help – for women with obstetric fistula. “That morning when my mum went to draw water saved my life,” she said.